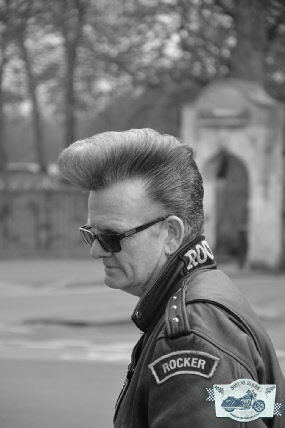 When I was but an impressionable young man and thrashing around on a battered 400 superdream which I must add wasn’t battered until I came off spectacularly in Belgium I followed the rocker and rock and roll lifestyle. Organised by Lenny Patterson and Wildcat Stu the Rockers Reunion held dances in salubrious locations and there were some great runs to seaside locations, (there may be a dodgy photo hereabouts of me on my superdream in its 4th reincarnation following a crash into an ambulance on the A23) it was a fabulous time and keeping in the theme I ended up purchasing two rather dodgy Triumph Bonnevilles which with the mechanical skills of a cheese sandwich I managed to make particularly unreliable and nearly lost my job because of my irregular timekeeping as bits fell off. Somehow the superdream that languished in the end of the garage would always fire up after a push, the bit of tinfoil wrapped around the fuse helping gibe it life and with a jumpstart jump start and the tax disc borrowed from one bike to another to look vaguely legal. During the various rides and dances I learnt such skills as scooter frame throwing, how to waltz with Screaming Lord Such (I was rather drunk) and how to abuse my liver to a huge extent. Then later in the 1980’s I started visiting events like the Kent Custom Bike show and choppers and the like kind of took over. 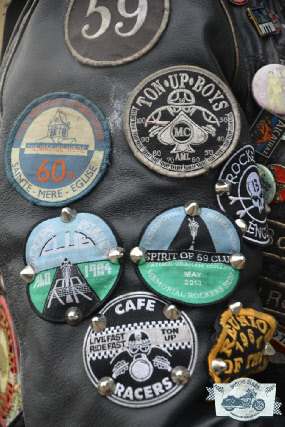 For although it could be said that people have been customising bikes ever since they were first produced, the rockers were probably the big start in England as they swapped engines, frames, bars etc to make Tritons, Tribsas, Norvins and the like before the chopper culture reached these shores. However the rocker lifestyle has never really left me and I even had a recent dalliance with a BSA Bantam (a big big mistake) and a modern triumph, which I made unreliable see a theme running here. 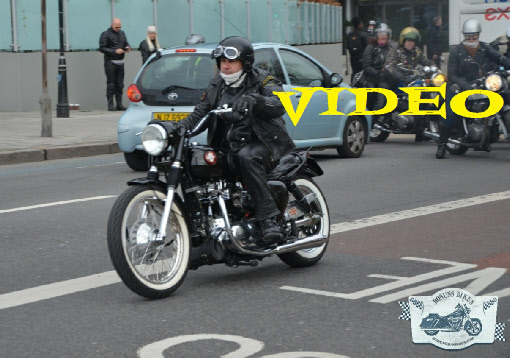 This year Lenny Patterson put a shout out deciding it was time for a last soiree of the rockers at Chelsea Bridge prior to a run to a dance at Hammersmith. And so on a bitterly cold and wet April afternoon they started to arrive. 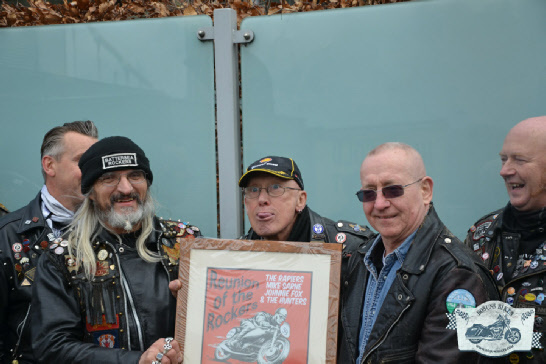 Their hair may be greyer, the leathers tighter but the spirit was still there. With folk coming from the continent too renew old acquaintances and make new ones it made for a great afternoon. And some great bikes too with some real survivors. Who cared for the rain, language barrier, bikes and rock n roll were all you needed, though a warm jacket and tea would have been nice in my case but the tea hut was shut. Small crowds of interested by standers also joined in bemused and I would like to think that the young kids may also find a passion for bikes and the lifestyle. And then with a great rev up they all set off to the dance, a fantastic sight and sound ,me I went to find tea and a way to defrost.